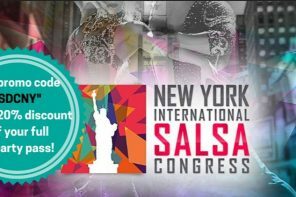 There are dozens of places to Salsa dance in New York and Connecticut. You could ask Siri for dance venue locations and most likely she’d find you a few. However, there’s nothing better than going into a place already knowing what to expect. So consider the recommendations listed below the next time you visit NYC and CT, as they have been visitor-dancer-tested. We were there mid-September 2018, so hopefully this content will be nice and fresh for you. This venue is gorgeous, and once you’re inside the door, you’ll forget that it’s a Monday night. At TAJ, Salsa dancers of all ages (over 21, that is) gather to dance to both live and recorded music. 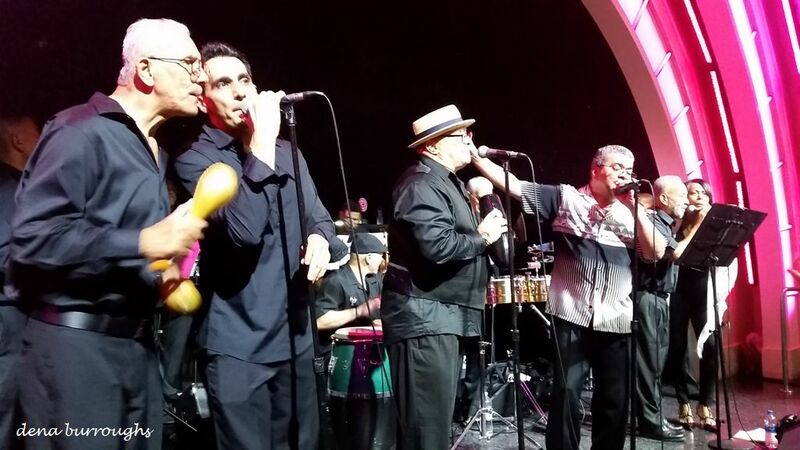 On the night we visited, the Bronx Salsa All Stars performed, and DJ Jimmy Anton (a famous name in the New York Salsa socials’ scene) played his recorded selections. There is a $13 cover charge, and drinks are on the pricey side, although a few promotional drinks are offered at more affordable prices. TAJ has a beautiful wooden floor to dance on, and a mezzanine that is quite convenient for watching the band and observing the dancers below. Food is also available in the earlier part of the evening. There is a Salsa dance lesson at 7 pm, and social dancing continues until 2 am. This event is organized by LatinParty.com, and you can save about $1.50 on the cover if you pre-purchase your tickets. Out of all the places that we visited during our 10-day stay in the area, TAJ is our favorite. There’s an added oomph to it from the fact that it is just steps away from the (especially to visitors) glamorous 5th Avenue in Manhattan. TAJ is located at 48 West 21st Street, NYC. This is a link to a live video taken by cell phone at TAJ. Free cover and parking make this night in New Rochelle, NY, attractive. NoMa Social is a nice lounge inside the Radisson Hotel that on Thursday nights is turned into a Salsa club with recorded music selections by a DJ, and a free on-2 dance lesson at 8 pm. No one asked us for ID, but if you have someone under 21 you may want to call and confirm. We had a nice evening at NoMa, danced plenty, and were enthralled by the dance moves of the on-2 dancers who, although dressed comfortably, were still better decked than what we’d seen at other locations (and several sported dance shoes). But here’s a word of caution – by the time we were done, having enjoyed appetizers and drinks only, our bill had grown to over $80. So, we suggest that you eat elsewhere and make it a drinks-only night at NoMa (and maybe try to stay within the “happy hour” menu, which is good between 4 and 10 pm). We know that your wallet will thank you. This venue is located at 1 Radisson Plaza, New Rochelle, NY 10801. This is a short video taken at NoMa by cell phone and loaded to Instagram. Standing right outside the doors of this location on a Friday night, you would never imagine what is going on inside it. 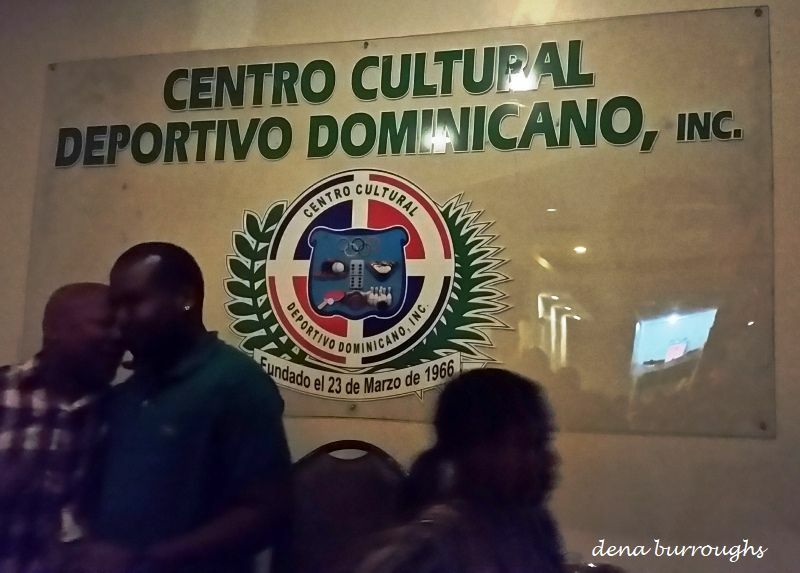 The Centro Cultural Deportivo Dominicano is a pure Salsa party that officially starts at midnight and goes on until 4 am (although we arrived just after 11:30 pm and it was already happening). A DJ plays his selections from a loft, while people (dressed casually) dance one song after the next. Right below the DJ window, an impromptu band gathers to play along to the music (various forms of percussion mostly). They sing, play, and dance, and have themselves a blast. The sound is loud, so if that’s not your thing you may want to bring earplugs. This is as authentic a Caribbean/Latin party as it can be. It’s the result of a community getting together to dance Salsa, and only Salsa, until the body drops. You’ll see people busy loading beers into ice buckets, and waitresses delivering them (at $3/piece) to the many available tables. There are other drink options, but nothing too fancy. In this place you will see beautiful people, and they may be concerned about their make-up, the accessories, or even their bling-bling, but I promise you, they are not concerned about dance shoes or special dance outfits (word to the wise). You can bring in food, but not drinks. There is no charge at the door, and you must be 21 to enter. Parking is a bit of a complication – the venue is on a busy street and because the event starts so late most street parking is taken by the time you arrive. We found a lot two blocks away that charged us $16 for the night. We assume that there are cheaper options, but as visitors we just went for it. The Centro is located at 2088 Amsterdam Avenue, in Washington Heights. This is a link to a live video taken by cell phone at Centro Cultural Deportivo Dominicano. Free parking and no cover charge for live and recorded music is a hard-to-beat option. Inside the casino, in the Entertainment Lounge, live bands and DJs rotate and provide an ambiance that is laidback, comfortable, affordable, and thoroughly enjoyable, every Sunday from 8 pm to 11 pm. Ray Rivera con Sabor Latino performed on the Sunday that we attended. It was a tight 13-piece band that sounds great and kept the dance floor on fire. But you don’t even have to go to the dance floor – if you find a nice seat (of which there are plenty), you can make space right next to it and dance without a problem. Drinks are well priced, there is no dress code, the casino’s food court is a short walk away, and so are the bathrooms. The crowd here is a bit older, meaning you’ll see plenty of hats and traditional guayaberas, but you’ll have fun as long as you’re over 21. This is a true deal that will cost you only what you consume. The Empire City Casino is located at 810 Yonkers Avenue, in Yonkers NY 10704. It has party-animal hours of operation, closing only between 6 am and 10 am. The Casino’s calendar will tell you which band will perform on the date of your visit. This is a link to a live video taken by cell phone at the Empire City Casino. 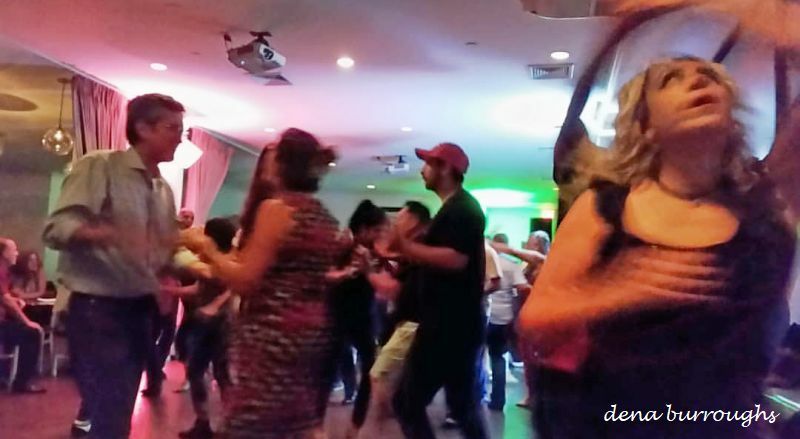 There are multiple places to Salsa dance in Connecticut, especially in its bigger cities – Hartford and New Haven. This recommendation happens to be at Yale University, which is in New Haven. To give you some perspective, if you are staying in Manhattan, NY, a one-way drive to Yale would take you less than two hours. You can also travel by train, with the consideration that there’s no overnight train service and, therefore, it would require a night stay in New Haven. If you went to Yale, well, look at you! But for the rest of us, Salsa dancing within the confines of Yale University is a rather exciting proposition. 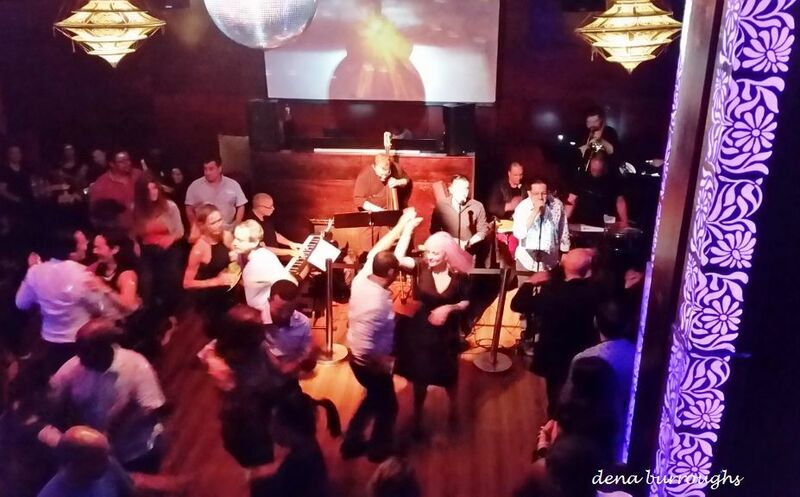 The GYPSCY has various events throughout the week, including Latin night (which we attended on a Saturday), Salsa night, Bachata night, and more. You don’t have to be a Yale student or a graduate to attend, there is no cover charge (unless specifically noted), dress code is casual, and there is always a drink special. The crowd will be young, but with enough outside, non-student, visitors to make you feel at ease. The wooden floor is perfect for dancing, and on it you’ll see an even combination of dance shoes and Converses. You can see the GPSCY event calendar directly on its website, but you should also make contact with the Yale Student Salsa Society (YaSSS) on Facebook. 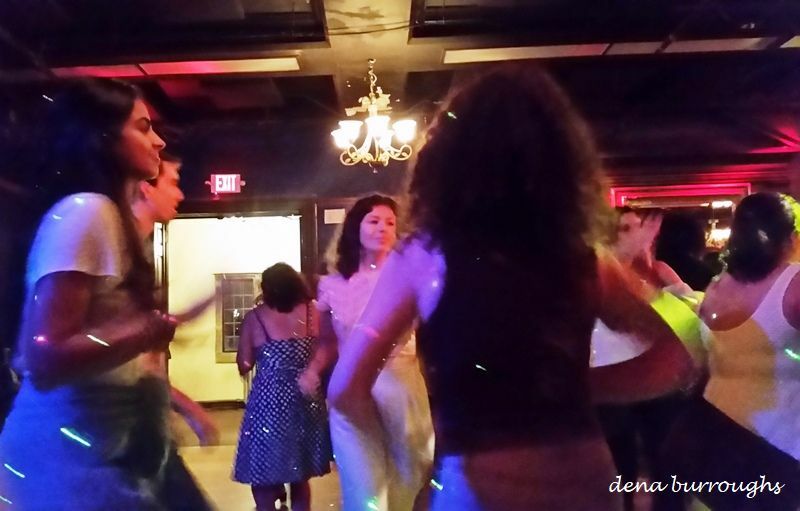 Something lovely happens on the dance floor at the GPSCY – it’s the awe one feels for the location itself, combined with the respect for the smart young people who attend and the communal appreciation for Salsa. A night at the GPSCY will make you feel young, smart, and a great dancer because, let’s face it, your dance skills are likely to be better than the Yalies’. The GPSCY is located at 204 York Street, in New Haven, CT. This is a link to a short video taken live at GPSCY and loaded to Instagram. We hope our recommendations will be helpful the next time you are in the NYC/CT area. There is so much to see and do, and so much culture and music, that it would take a year to visit every place available. But this is a good start, we think, and it will keep you busy in between your visits to Time Square, Broadway, the Brooklyn Museum, and everything else that is a must-do when you’re in New England. We hope you enjoy your visit!